Concerning the candidates. It is clear that if we exclude the falls of meteorites, strokes, and other force majeure circumstances from the forecast, the incumbent president will be among the candidates. The ballot paper will include another no less permanent surname — Haydukevich. Apparently, the younger one now. 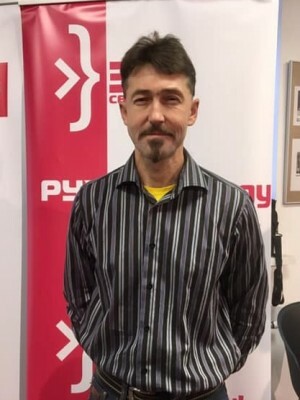 Aleh Haydukevich was nominated the presidential candidate by the Liberal Democrats a year ago. The son’s style is very similar to that of his father, so I’m not sure if we will notice a difference in their campaigns. The authorities will almost certainly add a “sparring partner” with conditionally pro-Russian views to the ballots. The regime needs this to offer the Russophile segment in the Belarusian society a nominal alternative. Otherwise, there is a risk that these people (according to the polls, at least hundreds of thousands want to unite with Russia) would feel that they have no one to vote for and can try to self-organize on a pro-Russian, but at the same time oppositional, platform. Minsk’s attempts to engage in neutrality and flirt with the theme of Belarusian identity irritate the most ardent supporters of today’s Moscow course. There has been no unity in the opposition for many years, and this should result in several candidates. Tell The Truth campaign, which are considered traitors by other oppositionists, will nominate their candidate. 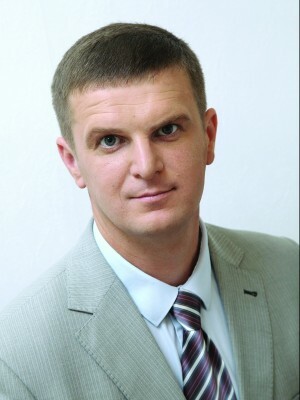 Most likely, this will be one of the campaign co-chairmen Andrey Dzmitriyeu, who was the head of Uladzimir Niakliayeu’s and Tatsiana Karatkevich’s election headquarters in the last two elections. It seems that Dzmitriyeu would have run for president even in 2015, but his age didn’t allow this. Dzmitriyeu is a technological, ambitious, and generally cunning politician with the reputation of grey eminence. The most ardent activists and leaders of the street opposition do not hesitate to call him a special services agent. His supporters see nothing wrong in compromise rhetoric and regular contacts of the Tell The Truth with the authorities. So far, there is no reason to expect anything fundamentally new from his campaign as compared to the last election: peaceful changes, soft criticism of the authorities, development of the regions, calls for neutrality in foreign policy, and what is called ‘economic populism’ in domestic policy. The most stable union of the opposition in recent years — the centre-rightists — want to nominate their single candidate. 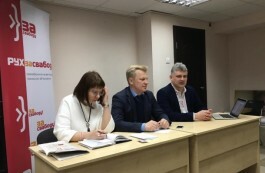 As is known, this is the alliance of the three structures — the United Civil Party (UCP), the Movement For Freedom (MFF), and the Belarusian Christian Democracy (BCD) party. The UCP and BCD leaders are unlikely to be nominated. Vasil Paliakou, who replaced the long-standing UCP head Anatol Liabedzka, is still little known and gives yet the impression of being too calm and phlegmatic for street or television activities that await a presidential candidate. 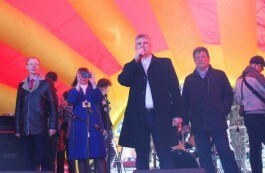 Liabedzka himself, though he is popular and respected in the party and undoubtedly is one of the most capable public speakers in the entire opposition, has been in politics too long to risk giving the whole presidential campaign of centre-rightists an atmosphere of “the same old story”. In addition, 100 thousand signatures not collected by him in the last election leave a feeling of pessimism, which makes it difficult to mobilize and ignite hundreds of volunteer activists. 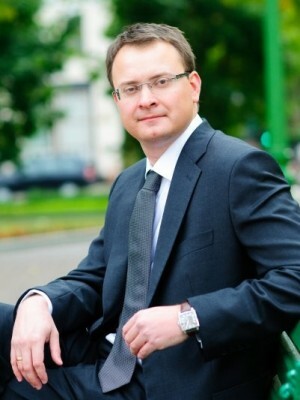 Of the four BCD co-chairmen, two are known to a relatively wide public — Paval Seviarinets and Vital Rimasheuski. The first one has traditionally supported the boycott of the elections and believes that participating in election campaigns isn’t worth the candle. Rimasheuski is an expressive speaker and, in general, is not a radical, who is able to find common language with the officials. 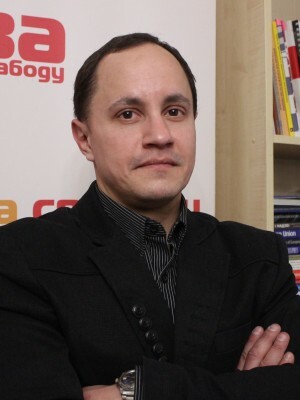 However, there has been so far no precedent in the opposition to nominate a candidate twice, and Rimasheuski has already gone to the polls in 2010. In addition, it would be hard for a BCD candidate to be a single representative of all the centre-rightists, because they are the most conservative force in the coalition; their traditional views on abortion, feminism, and religion are unlikely to be shared by liberals from the UCP or supporters of European values from the MFF. This can reduce the enthusiasm of activists from partner structures. Although, objectively speaking, the today’s Belarusian society supports the traditional values of the BCD, especially on family and gender issues, rather than the liberal European views of their partners. In view of all this, the leader of the MFF Yuri Hubarevich with his moderate pro-European views and rhetoric seems to be a relatively compromise figure for the centre-rightists now. His victory in the recent election of the MFF head was overshadowed by a conflict with his rival Ales Lahvinets, who left the organization taking with him his faithful companions. Besides this, however, Hubarevich has no history of any scandals, unsuccessful statements, or confrontation with other oppositionists. Along with a lack of managerial experience typical for young politicians, there is one interesting detail in his biography: Hubarevich with his team managed to take the majority of seats in Belaaziorsk Town Council in 2003. It is clear that the votes are counted more “attentively” in the presidential elections, but this is a winning point against the backdrop of many of his opposition colleagues whose electoral CVs over the past 20 years have only 3% to 5% which are regularly “gifted” to them by the regime’s election commissions. A centre-right candidate’s programme will be a traditional one: market reforms, closer ties with the EU and avoiding dependence on Russia, democracy, free elections, and local self-government. There can be self-nominees within these structures, as well. First of all, I mean Hanna Kanapatskaya, an MP from the UCP. She has already said she wants to “concentrate the efforts on the elections of 2019-2020”. Kanapatskaya clearly wants to go beyond the UCP’s framework and has already stated that she has created a new movement called ‘Forward Belarus!’. But given that most of her party members didn’t support her attempt to replace Liabedzka, she is unlikely to be nominated as a single candidate even from the UCP. If she tries to go to the polls herself, I don’t see where she can gather the activists to collect 100 thousand signatures. There is also the Belarusian Popular Front (BPF) party on the opposition’s right flank, which has participated in the last several elections independently and which doesn’t like any coalitions. There are two nationally visible politicians in the party — its former head and now deputy chairman Aliaksey Yanukevich and the current leader Rihor Kostuseu. If the BPF wants to nominate a separate candidate, then both of them are theoretically appropriate. 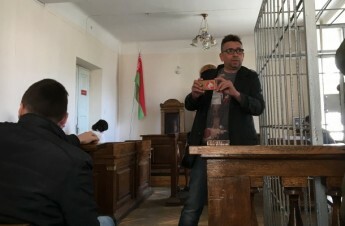 Yanukevich is young and is able to speak publicly, but, although he doesn’t call people to take to the streets, he is sometimes rather harsh in his statements on the national topic. Kostuseu looks more moderate in this sense and is negotiable for the authorities (for example, it was with him that the negotiations on the Freedom Day 2018 celebration were held). However, he has already run for president in 2010. It’s tough to tell what will the BPF bet on — the hothead youth or the judicious experience. But if the centre-rightists nominate Hubarevich, who himself was still a member of the BPF before last year, or a figure similar to him that is a compromise personality for the nationalists, it is likely that the BPF will support such a candidate. The main thing for the party is that the topics of the Belarusian identity and the Russian threat are clearly pronounced at the elections. There are no special disagreements with the centre-rightists here, rather different emphases. And given that the BPF managed to collect only 10,000 signatures for Karatkevich in 2015, I doubt that the party has enough resource for its own campaign. Let us now look at the left flank of the opposition, which is less alive than the right one. 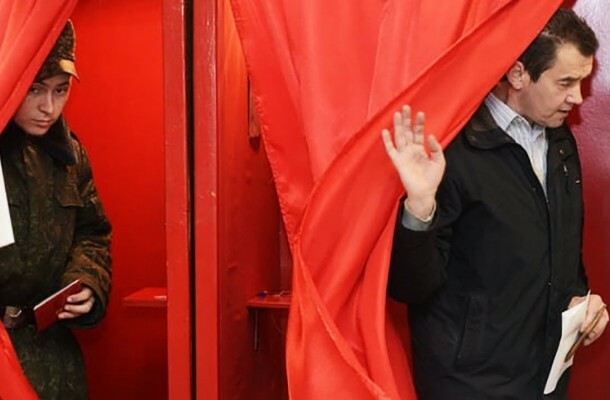 They have been discussing for many years the idea to nominate a single candidate from several structures, namely the Green Party, ‘The Fair World’ Left Party, and the Belarusian Social Democratic Party (BSDP) (‘Hramada’). However, it’s either impossible to agree or they aren’t trying hard enough. As a result, the Fair World tried to nominate its leader Siarhey Kaliakin last time, but didn’t manage to collect the signatures. It is difficult to judge whether all of these parties will have enough joint forces to campaign, but they are clearly too weak individually. 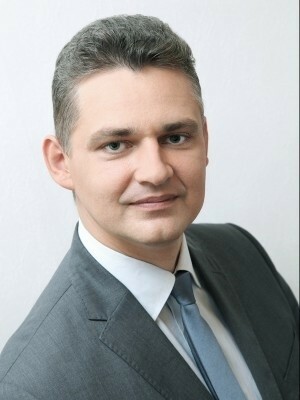 Their alliance is even less likely because the young politician Ihar Barisau, who has recently replaced Irina Veshtard as the head of the BSDP, is a man of national democratic and pro-European views. Communists from Kaliakin’s party are still carrying flowers to the Lenin monument and advocate close integration with Russia. I don’t think that these positions can be reconciled, especially while the friend-or-foe watershed by the attitude to the Crimea situation is relevant for the politically active Belarusians. The option where the BSDP supports a centre-right candidate has few chances as well; this hasn’t happened for a very long time, and the parties have very different programmes. But even this scenario is more likely than the left coalition. The opposition also has the Belarusian National Congress, which is a group of politicians and activists who focus on street protests. The leaders of this group are Mikalay Statkevich, Uladzimir Niakiayeu, Viachaslau Siuchik, but Statkevich is the most noticeable of them all. The politician has a “criminal history” on record, which will expire only in 2023. Therefore, he cannot be nominated for presidency. But given that the BNC doesn’t have its own mass structures, it is unlikely that the Congress will nominate its candidate at all. Most likely, the BNC activists will use the electoral campaign for protests and will urge to boycott the elections before their demands for democratization are met. Returning to a possible ballot paper, it seems it will be like this: Aliaksandr Lukashenka, Aleh Haydukevich, Andrey Dzmitriyeu, Yuri Hubarevich, and some pro-Russian sparring partner. Plus, with a small degree of probability, someone from the BPF (Rihor Kostuseu or Aliaksey Yanukevich) and a leftist candidate.